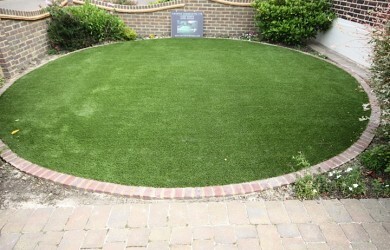 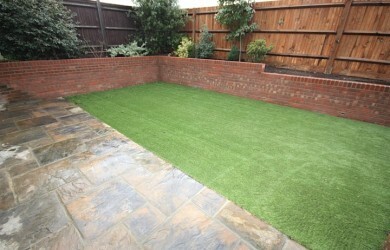 Artificial grass Bexley installation with stone patio. 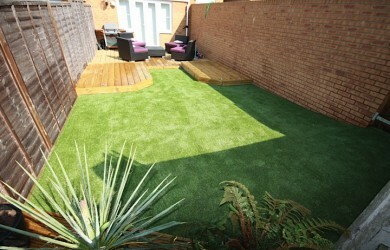 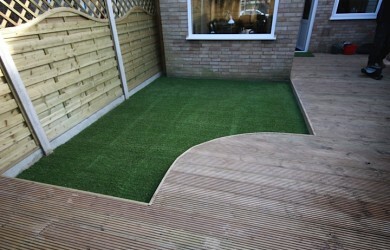 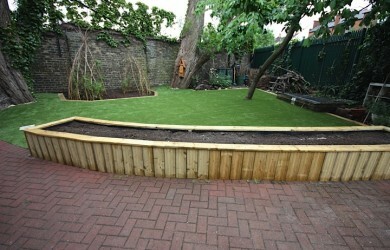 Artificial grass Bexleyheath, with curved wood decking in rear garden. 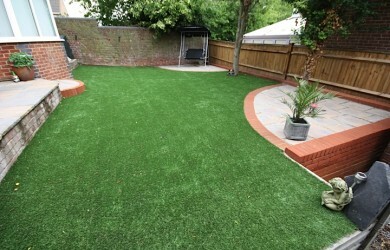 Artificial grass Kent installation in rear garden with swing feature and mini patio. 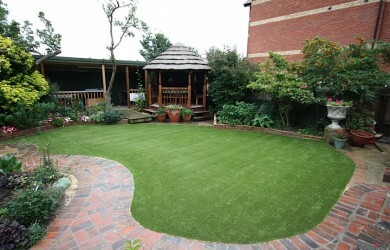 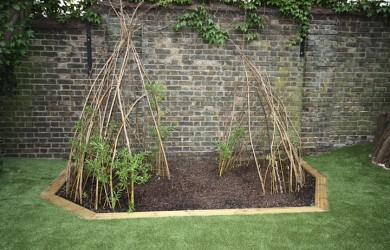 © Copyright - Carrick Landscapes.